Heather joined the OIE staff in the fall of 2014 as the Associate Director of Institutional Effectiveness and currently leads The University of Alabama’s quality enhancement plan (QEP), Learning in Action: Developing Real-World Problem Solvers through High Quality Experiential Learning. Previously, she served as Director of Community Education at The University of Alabama’s Center for Community-Based Partnerships. Heather is also an experienced qualitative research methodologist, and she began her career at UA as a faculty member in the Department of Educational Studies in Psychology, Research Methodology and Counseling. Her work in institutional effectiveness is guided by a deep interest in process and the construction of individual, programmatic and institutional identities. Before her employment at UA, Heather held tenure-track appointments at the University of Delaware and Indiana State University. 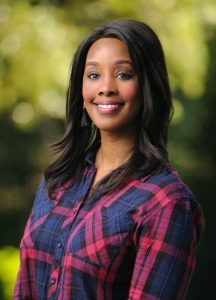 She is a graduate of Michigan State University (Ph.D. in Educational Psychology), and the University of Michigan-Flint (B.S. in Psychology). Ginger, a native of North Carolina, joined The University of Alabama OIE staff in February 2014 as the Director of Institutional Effectiveness. Previously, she served as the Assistant Provost for Institutional Effectiveness and Assessment at Lenoir-Rhyne University, Hickory, NC; the Dean of Educational Support Services at Martin Community College, Williamston, NC; and an instructor in Early Childhood Education at Nash Community College, Rocky Mount, NC. Her eclectic career also includes stints in early childhood intervention and advocacy, special education, and journalism, which is where she learned a little bit about a whole lot of things, sports metaphors, and how to listen. These traits she’s found to be very valuable in the world of institutional effectiveness. Ginger also serves as the University’s SACSCOC Liaison. She has served as an evaluator on several SACSCOC review committees and has directed SACSCOC reaffirmation processes at three levels. She received an Ed.D. in Educational Leadership, Higher Education Administration, and an M.S. in Child Development and Family Relations, both from East Carolina University, Greenville, NC, and a B.S. in Education from North Carolina State University, Raleigh, NC. Chris joined the OIE team in 2015. His career has focused on research/evaluation in education and psychology, with an emphasis on maximizing learning for students with and without disabilities. Prior stops included Babson College, the University of Georgia, the College Board, and schools in Greece and the Czech Republic. He studied at James Madison University (Ph.D. in Assessment & Measurement), the University of Georgia (M.A. in Linguistics), and Virginia Tech (B.A. in English). Mary Anne joined the OIE staff in 2014 as Assistant Director. Much of her work at The University has focused on the SACSCOC reaffirmation process and the University’s assessment process. She previously worked at the University of South Alabama (USA) in Mobile, Alabama, where she taught geology using Team Based Learning as a way to engage students and enhance deep learning in large lecture classes. She also worked at USA as the Assistant Director of Research Compliance, where she was in tasked with the re-design of the Responsible Conduct of Research training program to better reflect modern teaching pedagogies. Her interests lie in learning everything she can about new methods of teaching and learning and in the processes of accreditation and reaffirmation. She is a graduate of the University of Alabama, earning both a B.S. and an M.S. in Geology. Carmen, a native of Illinois, joined the Office of Institutional Effectiveness in the summer of 2016 as the Assessment Specialist. Prior to her employment at UA, she was employed as a Social Science instructor for twelve years at Olney Central College in Olney, Illinois. During her tenure at OCC, she served as co-advisor for Phi Theta Kappa and advisor for Future Teachers Club. Her work in assessment began during her first years at OCC, completing assessments as a faculty member for both course and general education assessment. Carmen is completing her dissertation to finish an Ed.D. in Curriculum and Instruction from McKendree University in Lebanon, Illinois. She is also a graduate from Walden University (Ed.S. in Adult Education), Eastern Illinois University (M.A. in Political Science), and St. Mary-of-the-Woods College (B.A. in Social Sciences). Although not a native of Alabama, Carmen is a big University of Alabama football fan. Vivian wants to live in a world where every dog and cat has a home, emails are short, and thank you notes are written by hand. While she is waiting on this to happen she is the Office Associate for all the great staff of the Office of Institutional Effectiveness. She is a native of Alabama and a die-hard (ROLL TIDE) Alabama Crimson Tide football fan. She is married with two great kids and an extraordinary granddaughter. She is the president of No Greater Love Rescue, Tuscaloosa Kennel Club, and case manager for Tuscaloosa Paranormal Research Group. Weekends find her during the day working to save dogs from high kill shelters in the Southeast , playing with her granddaughter, and at night crawling through old abandoned locations to find a scientific reason for all those things that “go bump in the night”. Toni, a native of Tuscaloosa Alabama, joined the OIE staff in 2017. To date, her career has focused on providing stellar and effectual administrative support for dynamic institutions. Toni is a returning student here at the University of Alabama where she is pursuing a B.S. Degree in Hospitality Management. Outside of work Toni enjoys traveling and dabbling with portrait photography. Interested in being a part of the Learning in Action QEP? We’d love to hear from you!